Well-defined facial features like high cheekbones or a strong chin are considered traits of physical beauty. Nowadays, even if you were genetically denied such traits, the miracles of modern technology and the surgical skills of Dr. Greco can give you such traits. 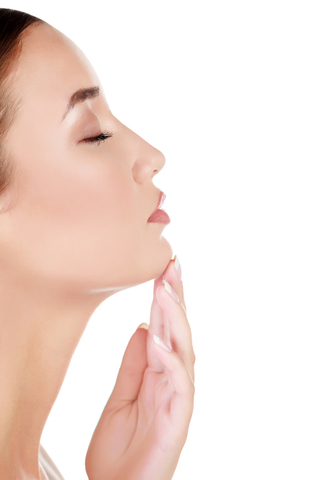 Augmentation of the chin can improve the proportion of the face and may be a valuable adjuvant to facelift surgery. Chin implants are often recommended to patients undergoing nose surgery to achieve better facial balance. Cheek implants can improve mid-facial contours or sagging skin. For patients receiving a facelift, cheek implants can ensure longer-lasting results. Dr. Greco performs chin augmentation and cheek implants as outpatient procedures in the comfort of her office. The recovery time for chin surgery is approximately one week. The recovery time for cheek augmentation ranges from seven to ten days.